Hands On! 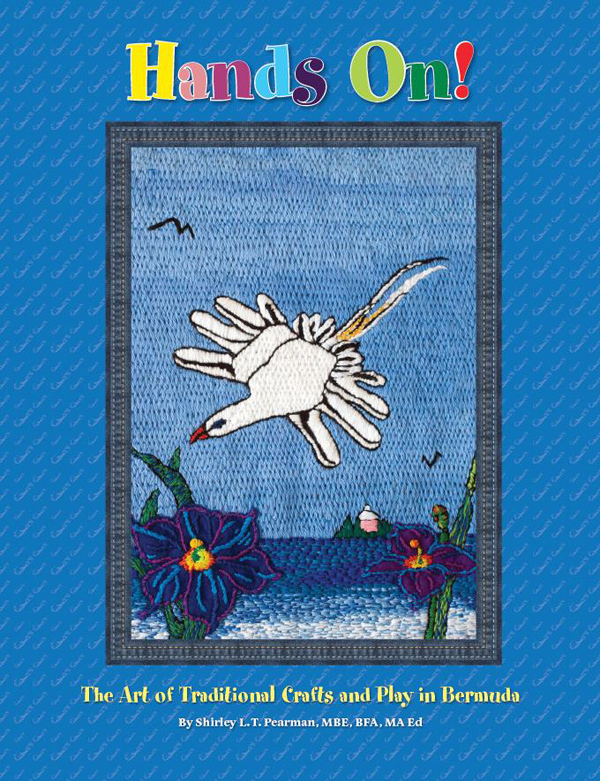 The Art of Traditional Crafts and Play in Bermuda, which was written by Mrs. Shirley Pearman, has won an Honorable Mention in the culture category of the Eric Hoffer Awards. “The book is produced by the Department of Community and Cultural Affairs with design and pre-press production by the Department of Communications. “Hands On! is a book that frames the experience of childhood play within the context of Bermuda’s seasons. Accompanying this exploration of play and reflections on Bermudian childhood is a step-by-step ‘how to’ guide for dozens of traditional crafts and toys such as: traditional Bermuda kites, tissue paper carnations, memory scrapbooks, banana dolls, bay grape leaf angels, comic book movie boxes, turkey bone dolls and many more. “Through this practical direction, the modern Bermudian child can experience the same kind of timeless enjoyment as that experienced by their parents and grandparents. Minister of Social Development and Sports Michael Weeks said: “I would like to express my sincere appreciation to Mrs. Pearman for developing this book which is part craft book, part memoir and part cultural preservation. “I understand that this project has been a labour of love for Mrs. Pearman, who first began collecting this material as far back as 2001 in preparation for the Smithsonian Folklife Festival. It brings me great joy to congratulate her on receiving an Honourable Mention from The Eric Hoffer Awards. “I would like to commend Folklife Officer Dr. Kim Dismont Robinson who led this project and served as editor, as well as her administrative assistant Ms Veney Sims who typed much of the manuscript. “We value the expertise and dedication of the entire Creative Services team at the Department of Communications, particularly graphic designers Mrs. Suzette Sailsman, Mr. Jamie McDowell, Mr. Keno Simmons, and photographer Mr. Stephan Raynor. Copies of the book are available at the Department of Community and Cultural Affairs for $35 and from retailers island-wide. For more information about the book call 292-1681.